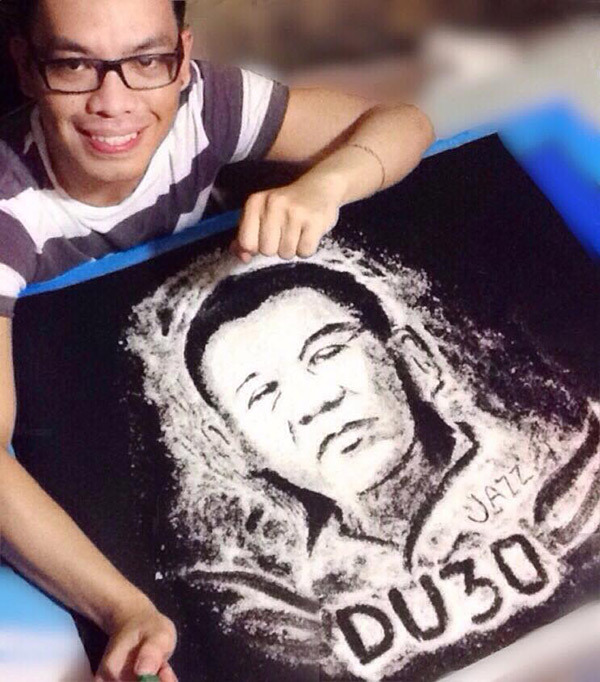 A supporter of Davao City Mayor Rodrigo Duterte earned praises online after he created an impressive salt artwork for the presumptive president. 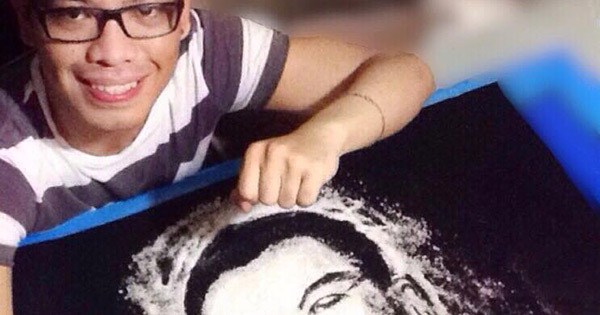 In his post on May 12, three days after the 2016 polls, Facebook user Harris Jazz Mortillero said he exerted lots of effort in creating the salt artwork, which took two hours to finish, because Duterte won. Jazz posted a photo showing him holding his masterpiece featuring the face of the tough-talking public servant. He said his mother scolded him for using all of the salt from their kitchen. As of Saturday morning, his post was shared nearly a thousand times. The artist jokingly said he realized that replying to positive comments on his Duterte salt artwork was not easy.